I‘M HOME! It was so good to sleep in our own bed last night, with our kittens tucked into our arms. Well, my arms. Jameson was so relieved to see me she velcroed herself to my side, and Jordan, after an hour of ignoring me, slept in my arms all night. Today, I’m jumping right back into the revisions of THE LAST SECOND (which I just noticed is up for preorder…) It feels so good to be creating again. There is laundry to be done, books to unpack (I had to buy a suitcase and bring them home instead of shipping, which was egregiously expensive) the house to tidy, but right now, all I’m worrying about is editing! There’s time for all that later. My weekend at SIBA (the Southern Independent Booksellers Association) was terrific. I met so many incredible booksellers and librarians, and made so many new authors friends! I also spent time with some of my awesome publicity team and sales folks. Add in real quality face time (and steaks and wine) with some of my dearest friends who I don’t get to see enough, and it was a truly wonderful experience. I hope to go back again very soon. There is such a sisterhood in fiction now. I saw it firsthand at Bouchercon, and again at SIBA. I feel so lifted up right now, so loved, and so excited for the future of our industry. We all rise together when we help each other. It’s the theme of the year, and I’m honored to be a small part of it. Our brothers in fiction are wonderful, but book sisters are something special. Of course, we had several folks who had to miss the event because of Hurricane Florence. I’m watching the flooding with my heart in my throat, knowing just how difficult and scary this is. Since I can’t help physically, I’ve been making donations to the local humane associations. There is a mass exodus of animals and anything helps for our four-legged friends in need — money, food, blankets, fresh water. (The same goes for our two-legged pals, too.) My deepest thoughts and prayers go out to all who are affected. On that somber note, let's take a look at the latest and greatest links! Neil Gaiman and Chris Riddell on why we need libraries – an essay in pictures. This is fantastic! I grew up on library fare and am lucky to count some librarians as my dearest friends. Without my childhood librarians, I wouldn’t be the writer and reader I am today. Serena Williams and the Game That Can’t Be Won (Yet). A terrible situation and a wonderful piece. Rules are rules, but respect is respect. I wish we could find a balance that rewards passion and still conforms to the rules. I Joyfully Decluttered These 5 Things to Boost Happiness. Lovely, thoughtful, helpful piece. The moment I finish this revision, into my closet I go. I can’t wait to clear some space. It makes jumping into the next book so much easier. But this is about much more than a physical decluttering. An emotional one as well. Check it out! Interview With Book Passage Founder Elaine Petrocelli. Great piece. I always love going to Book Passage. But something special happened the last time I was there. I attended their mystery conference last year and found myself. I know that sounds strange, but I stood up to someone who I felt was denigrating me and my work, and in turn the work of all female mystery writers, and from that moment on, I’ve been working very hard both publicly and behind the scenes to make sure it NEVER happens again, to any of us. Again with the respect thing, right? Best natural red lipsticks in green beauty. We all need a great red! It breeds confidence. A red lip speaks louder than words. So if you’re shy, try it. Put on your red lip, a pair of black sunglasses, and take a trip to the grocery or post office. You will see yourself in a new light. 50 Best Movies You've Never Seen. Some good stuff here. I’ve seen several of these, which is saying something, as I am not the most esoteric movie-goer. Urban Fantasy Noir - 7 Urban Fantasy Crime Novels With Dark Sensibilities. There’s a reason I included this link. I love this kind of work, and am getting more and more into it! Mississippi homecoming queen boots game-winning extra point. Doing it right, sister. Doing it right. TEAR ME APART was BookBub Editor’s Pick for Psychological Thrillers this week! It also got nice reviews in Washington Post and The Oklahoman. I loved this review from Gare Indeed Reads and I got a kick out of his casting ideas on Instagram! The next book tour stop is Southern Festival Of Books here in Nashville October 12-14. Can’t wait! 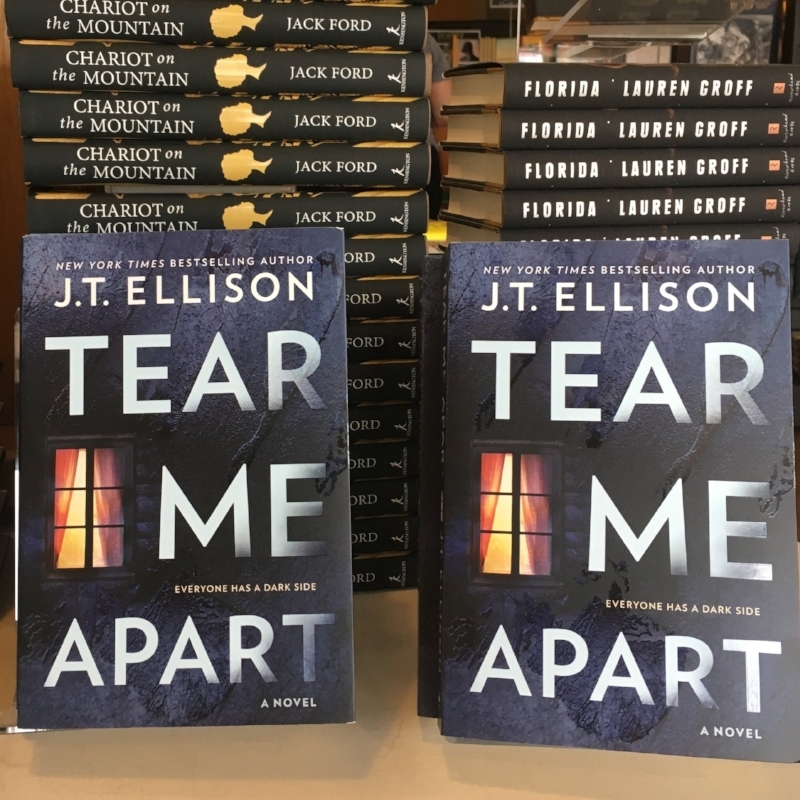 Also, BookClubbish is giving away a copy of TEAR ME APART, WHEN THE LIGHTS GO OUT, A WILLING MURDER, and UNDER MY SKIN! Enter the giveaway here. 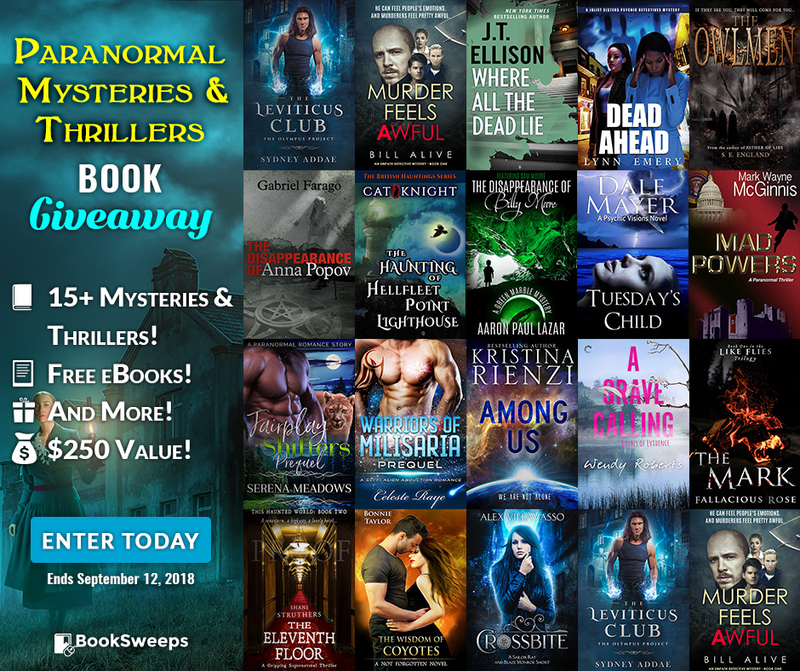 This is the last week to enter to win a copy of my novel WHERE ALL THE DEAD LIE, along with 15+ fantastic Paranormal Mysteries & Thrillers from an amazing collection of authors, PLUS a brand new eReader- along with a collection of FREE reads just for entering! Enter the giveaway here. That's all for now! Watch a football game, rake some of those falling leaves, send blessings to our friends in the Carolinas, and we’ll talk again soon.